If you travel Gold Hill Road near I-77 during the morning rush hour, you are stuck in long lines of traffic. With Fort Mill schools now in session, the congestion is worse. I hear help to ease the traffic jam is eventually on the way. York County, SCDOT, and FHWA have created a plan called The I-77/Gold Hill Road Interchange Improvement Project. The goal according to York County is to improve the interchange to process more vehicles and reduce peak period congestion and develop a design that will allow interchange improvements to be implemented while trying to minimize traffic disruption associated with its construction. Three alternative design concepts were created and the design selected is the Double Crossover Diamond Interchange (DCD). DCD is a relatively new interchange concept that is very efficient at processing heavy left turn movements ? such as those occurring from eastbound Gold Hill Road to I-77 north. The interchange is characterized by a traffic ?crossover? that flips the travel lanes to make left turns as simple as right turns. 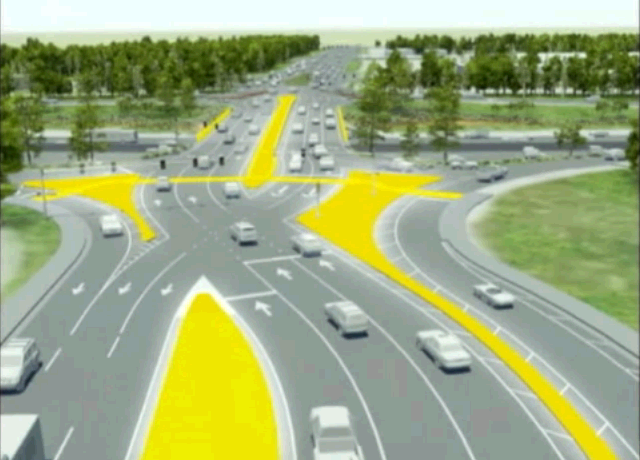 Here is a video York County made available to show traffic flows with a DCD design interchange. The I-77 and Gold Hill Rd Interchange project is estimated to cost $11.6 million and is currently in the design and permitting stage. Adjacent property will have to be purchased for a widen right of way. The hope is to begin construction within 2 years. Post by Fort Mill-Tega Cay Homes. Post by See Tega Cay.